In this bi-monthly Makeup Monday series, we will be discovering new makeup artists as they utilize my face as their canvas. We will see their creativity and learn tips and tricks for our own makeup application. As your wardrobe stylist, I will be bringing you makeup artists that will show you how to complete your look. I am beyond grateful for every single person who has touched my life, supported my business, blog and events throughout the years! You keep me motivated. THANK YOU! I have so much more in store for you. Starting today, I will be featuring 2 makeup artists each month who'll use my face as their canvas. 1. What are your top three favorite items used to achieve this look and why? I love all the items I used but there are a few that I continue to gravitate towards. • The Anastasia (ABH) pencil and pomade (for brows) - I cannot live without this combination. The pencil is perfect for that hair like stroke and the pomade is perfect to fill in the sparse area. • The Bioderma Daily moisturizer – Skin is so very important in the makeup application process and making sure that the foundation lays perfectly over the skin. Using a moisturizer is the perfect solution to ensure the skin stays hydrated throughout the day. • StilaGlitter & Glow Liquid Eye Shadow– this product is perfect for those of us who love glitter but hate the mess. Applies like a liquid without the need for glitter glue. Comes in so many different colors and textures. Beware, it dries incredibly fast so make sure to do one eye at a time. 2. Where did you learn to do makeup? How did you get started? My love for makeup started at a very young age as I watched my mother apply it to her face while getting ready for work. 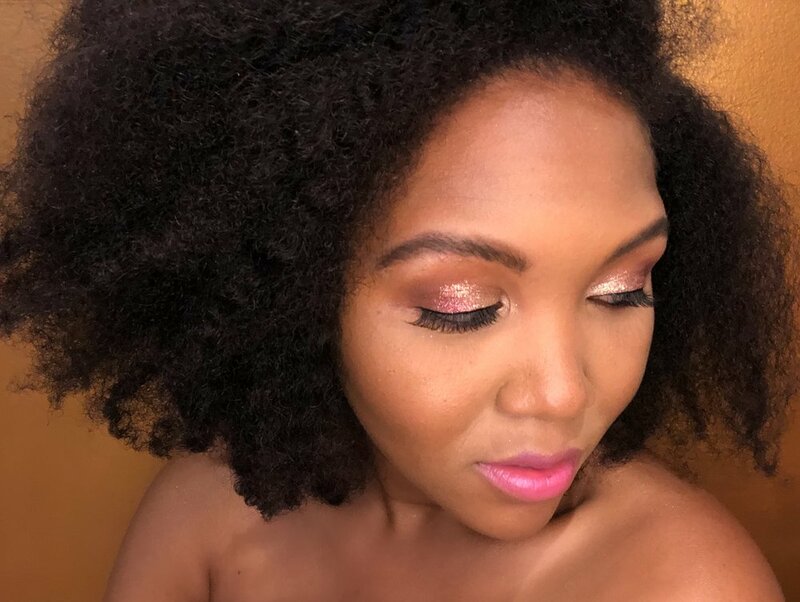 A few years ago, I decided to blog about makeup. I was obsessed with new products and packaging. One day, I did makeup for a friend who was getting married and she pushed me to follow the craft and become a makeup artist. I decided to take classes and became certified by none other than Priscilla Ono. Orlando Santiago taught me how to accomplish the Red Carpet look. I also acquired valuable skills from Danessa Myricks where I learned Editorial and Runway Fashion looks. Everyday, I am continuing to learn and cultivate my passion. Little by little, my love for applying makeup on others becomes easier and less nerve wrecking. I have always loved the idea of enhancing one's natural beauty. Most importantly, the look on my client’s face during the big reveal. 3. Your work has been featured all over for Curlfest! How does it feel? I am in awe at the fact that I was featured. The models were absolutely delightful to work with and to see them on PIX 11, Glamour, The Cut, and Nylon was a dream come true. I was so blessed to work with Jennifer Lord as the Creative Director/Hair Stylist. She pushed me to be creative and I am so happy it came to fruition. I am making bigger goals and looking forward to what the future holds. 4. What tips do you have for others to recreate this look? Make sure to deepen the outer crease to create dimension on the eyes. Do not be afraid to use color. Learn the shape of your face to know how to contour properly. For example, you have a heart shaped face where the forehead and cheekbones are the widest part of the face and the chin points. I made sure not to over contour the jaw line. 5. What is the most important beauty advice you can give to women? Take very good care of your skin! Unfortunately, as makeup artists, there is nothing we can do about texture. The better your skin, the easier and more flawless the application. Thank you Manouchka! I'm looking forward to seeing more of your work. Until then, where can we find and book you? Let us know what you think of the look below in the comments. Newer PostHow to be confident wearing minimal to no makeup?